Watch as AONN+ Annual Conference exhibitors explain why they value the connections they make at AONN+ conferences and why they keep coming back to exhibit. 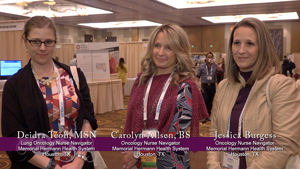 Carrie Tilley feels that it's important for her, as an oncology nurse practitioner, to be involved in AONN+ and attend a conference because she works closely with nurse navigators and wants to learn how she can best support them. As a social worker, Katie Narvarte looks to AONN+ to teach her more about topics outside of her area of expertise so that she can be a strong team member in the eyes of the navigators with whom she works. 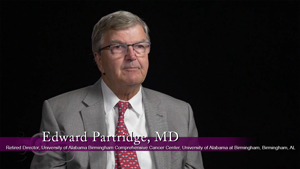 As a physician, Dr Edward Partridge sees significant value in attending AONN+ conferences and believes they are beneficial for all members of the healthcare team as well. 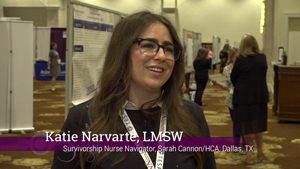 Dr Edward Partridge explains why navigators are critical members of the healthcare team and why institutions should support their navigators by sending them to conferences like AONN+. 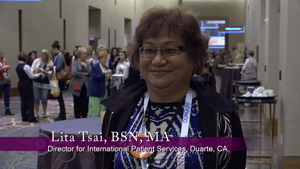 Lita Tsai paid her own way to come to the AONN+ Annual Conference in order to find a mentor in a seasoned navigator and learn new ways to help her patients. 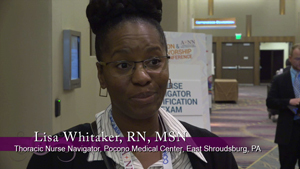 Lisa Whitaker looks to AONN+ conferences to help her learn from navigators who manage different cancer types to provide quality care. 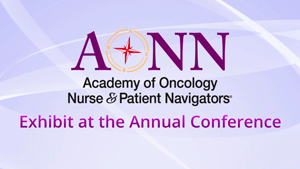 Deidra Teoh, Carolyn Allsen, and Jessica Burgess found the AONN+ Annual Conference to be an invaluable resource that gave them an extra push to be even better navigators. Lita Tsai thinks that anyone who helps people through their cancer journeys would find value in attending an AONN+ conference. Jessica Burgess loved the breakout sessions at the AONN+ Annual Conference, and Carolyn Allsen appreciated the camaraderie between the navigators.